Welcome to Russ Scott's Web Site! Please enjoy the links I have provided to some of my favorite sites! A picture of me in a previous life!!!! 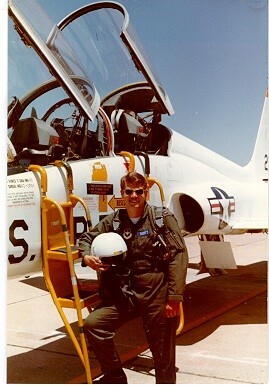 Following my graduation from Oregon State University, I attended Air Force pilot training at Reese AFB near Lubbock, Texas. While I did quite well in the training, medical challenges prevented me from completing the program. I later transferred to Vandenberg AFB, California where I worked in the space launch business at the Western Space and Missile Center. As you can see, Beagles are my favorite dogs! They are great companions. I currently have two, Bonnie and Clyde, who do their best to keep me in line! They are "rescue" Beagles and really tend to keep a close eye on their person! 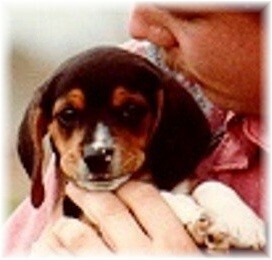 Their pictures are on the Colorado Beagle Rescue page. Follow the link if you are interested in CBR or adopting! My Dad's Web Site with lots of Oregon stuff! Educational Links - Schools I have attended or taught in.